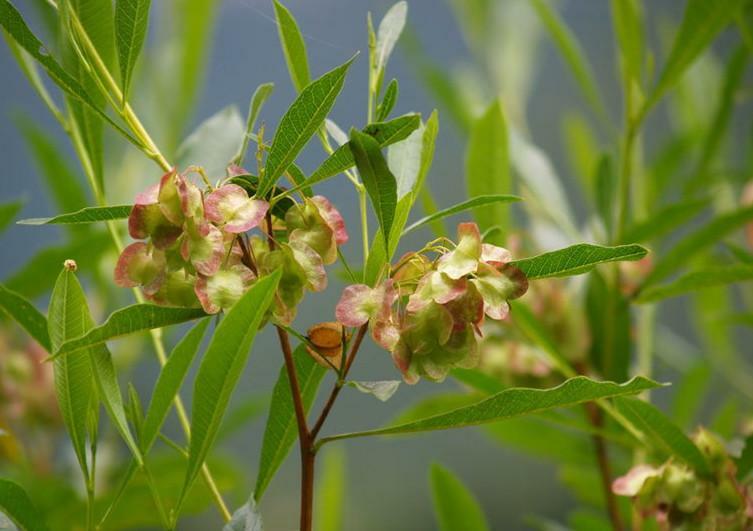 The drug is the leaf of Dodonaea viscose (L.) Jacq. (Family Sapindaceae), growing in arid hillslopes, in scrubs or coasts, distributed in Fujian, Taiwan, Hainan, Guangdong, Guangxi, Sichuan and Yunnan of China. Clear heat and induce diuresis, resolve swelling and remove toxicity. Leaf are used for cutaneous pruritus, retention of urine, sores and furuncles, scalds and burns, stranguria. Decoct 6~15 g , or 15~30 g of the fresh. Proper dosage is for external application, pounded for applying with the fresh.